Cornwall Chamber of Commerce has invited the chairman of ComRes to give his verdict on the forthcoming European Referendum at the Cornwall Business Fair lunch. There are just two weeks to go before Cornwall Business Fair, which takes place at the Eden Project on Wednesday, May 11, as part of Cornwall Business Week. The chamber today announced that its guest speaker for the 2016 Business Fair Lunch will be Andrew Hawkins, chairman and founder of ComRes – one of the UK’s leading polling firms. 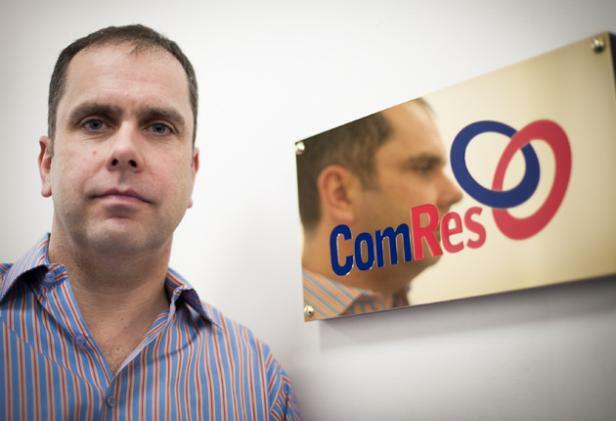 ComRes has grown to become one of the most-respected names in polling. It is retained by ITV News, Daily Mail, Sunday Mirror and the Independent on Sunday, and regularly polls for the BBC and numerous commercial, government and charity clients. In his speech, Hawkins will draw on his extensive experience of polling on the biggest issues of the day to unpack the perceptions and motivations of the voting public to help delegates gain an understanding of the EU campaign to date and B2B comms in general. He said: “Whether we follow Boris or Barack, June’s EU Referendum is the most significant opportunity ordinary citizens will have to influence the future of Britain’s place in the world. There are a few places remaining at the lunch, which takes place in the Gallery at the Eden Project at 12pm as part of Cornwall Business Fair. Delegates can enjoy great networking opportunity with over 200 people, and an Eden sharing platter featuring some of the finest Cornish produce.